Oregon medical students were shocked and surprised when they opened the cadaver of Rose Marie Bentley. Kate Owens of the College of Charleston talks about mastery grading, innovative teaching in a historic institution, and more. What would a classroom look like if it were set up for dialogue rather than monologue? What would a syllabus look like if it’s goal was to connect things rather than to arrive somewhere? Will we know learning is happening if we don’t measure it by where it ends? I’m curious if you use Inoreader’s OPML subscription functionality at all? It’s kind of like Twitter lists in a sense, but a lot more open and distributed. Much like your version piped into an LMS, it could be used used to create a planet of all of the participants in a course, but set up in such a way that only one person needs to create and maintain an OPML file that everyone else can use instead of needing to manually find and subscribe to a bunch of feeds or worry about missing out on that one feed of the student who joined the course two weeks late. As an example, here’s an OPML file on my own website (through my following page) of all the educators I’m following who are tangentially involved in the IndieWeb movement. If you subscribe to the OPML file in Inoreader, when I update it with additional feeds, you get all the changes synced automatically. I’d be interested to see exactly how you’re using Inoreader–particularly the off-label methods. Have you written up any of the details anywhere? It looks like you’re using tags in Inoreader and piping those details back to the LMS so that you can filter portions of the class content? I recently documented some of my personal use here: Using Inoreader as an IndieWeb feed reader. A big portion of it is about being able to use Inoreader to interact within its interface, but also have those interactions reflected on my own website (aka digital commonplace book) which sends notifications to the original content on the web instead of just leaving it siloed within Inoreader. The Centre for Innovation of Leiden University has always strongly supported social or collaborative learning in online learning: the interaction between learners facilitating learners, whether that is in discussion forums, peer review assignments or in our Facebook groups, contributes to a deeper understanding of subjects, and prepares learners to apply their knowledge. Therefore we have decided to close all Facebook groups, Whatsapp groups and Instagram accounts currently under control of the Centre for Innovation, per the 29th of March 2019, and have adjusted our courses accordingly. You can direct any questions or remarks in regards to this policy to MOOC@sea.leidenuniv.nl. At least part of Leiden University is apparently making the moral and ethical call to close all their Facebook related properties. Kudos! They’ve already got a great website, perhaps they’ll move a bit more toward the IndieWeb? How does one become good at retrieving knowledge from memory? How does making predictions now help us learn in the future? How do instructors instill fixed or growth mindsets in their students? Each chapter introduces a basic concept in cognitive theory, explains when and how it should be employed, and provides firm examples of how the intervention has been or could be used in a variety of disciplines. 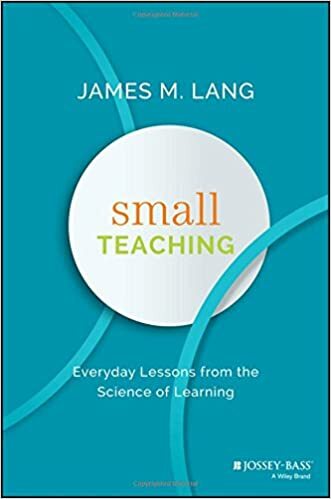 Small teaching techniques include brief classroom or online learning activities, one-time interventions, and small modifications in course design or communication with students. Teaching is behavior and behavior is founded on habits. How can teachers build good teaching habits for active learning? 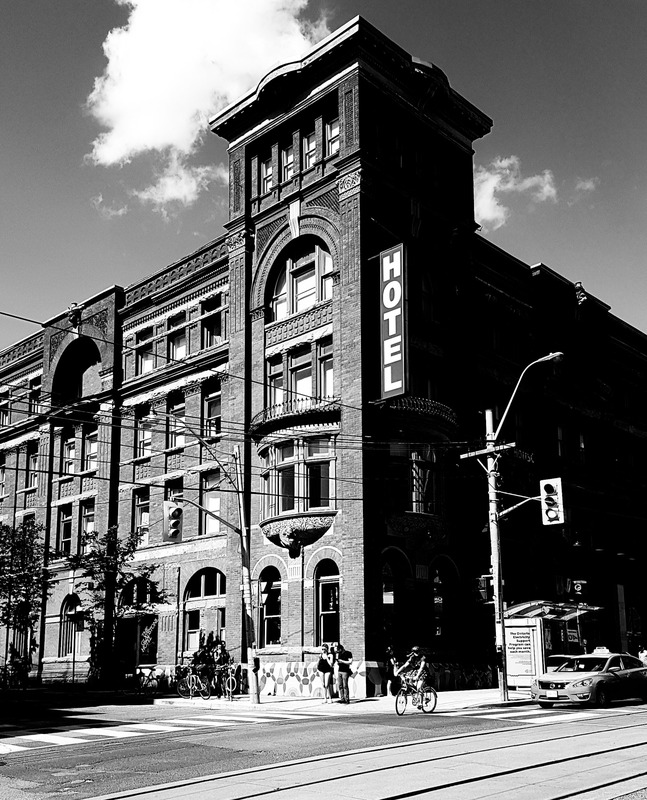  Virtually Connecting March 18-20 at Digital Pedagogy Lab Toronto! An exercise I gave my students helps illustrate the risks to privacy in our everyday, offline lives. I saw some on Twitter say that this was a terrible assignment and that they can accomplish the same goal without being so creepy, but naturally they neglected to give any details about improving on it. While sifting through some old bookmarks from CiteULike which is going to disappear from the web soon, I ran across one for this book review of Henry Quastler’s book Information Theory in Biology (1953). The last page of the review had an interesting information theoretical take on not only book reviews, but the level of information they contain with respect for improved teaching and learning in an era prior to Mihaly Csikszentmihalyi’s ideas about “flow”. The purpose of a scientific book (we at least hope!) is to store and convey information in a given field. The purpose of a review is to convey information about a book. It is therefore legitimate to attempt a mathematical theory of writing books and to find the optimal conditions which make a book good. At first it may seem that the optimal conditions consist of maximizing the amount of information per page, that is, in minimizing the redundancy. But a certain amount of redundancy may not only be desirable, but necessary. When presenting a new subject to young students who have never heard of it, a judicious amount of repetition is good pedagogy. Giving an exact abstract definition and then illustrating it by an example already constitutes a logical redundancy. But how useful it frequently is! The minimum of redundancy that is found in some well-known and excellent mathematical books (nomina sunt odiosa!) occasionally makes those books difficult to read even for mathematicians. The optimum amount of redundancy is a function of the information and intelligence of the reader for whom the book is written. The analytical form of this function is to be determined by an appropriate mathematical theory of learning. Writing a book even in a field which belongs entirely to the domains of Her Majesty the Queen of Sciences is, alas, still more an art than a science. Is it not possible, however, that in the future it may become an exact science? If a reviewer’s information and intelligence are exactly equal to the value for which the book has been optimized, then he will perceive as defects in the book only deviations from the optimal conditions. His criticism will be objective and unbiased. If, however, the reviewer’s information and intelligence deviate in any direction from the value for which the book is intended, then he will perceive shortcomings which are not due to the deviation of the book from the optimum, but to the reviewer’s personal characteristics. He may also perceive some advantages in the same way. If in the society of the future every individual will be tagged, through appropriate tests, as to his information and intelligence at a given time, expressed in appropriate units, then a reviewer will be able to calculate the correction for his personal bias. These are fantastic dreams of today, which may become reality in the future. Some of this is very indicative of why one has to spend some significant time finding and recommending the right textbooks  for students and why things like personalized learning and improvements in pedagogy are so painfully difficult. Sadly on the pedagogy side we haven’t come as far as he may have hoped in nearly 70 ears, and, in fact, we may have regressed. I’ve often seen web developers in the IndieWeb community mention the idea that “naming things is hard”, so I can’t help but noticing that this 1950’s reviewer uses the Latin catchphrase nomina sunt odiosa which translates as “names are odious”, which has a very similar, but far older sentiment about naming. It was apparently a problem for the ancients as well. Live coding screencasts are way more awesome when the text can be copied. asciinema makes this possible. This could be an awesome teaching tool, particularly for programming.